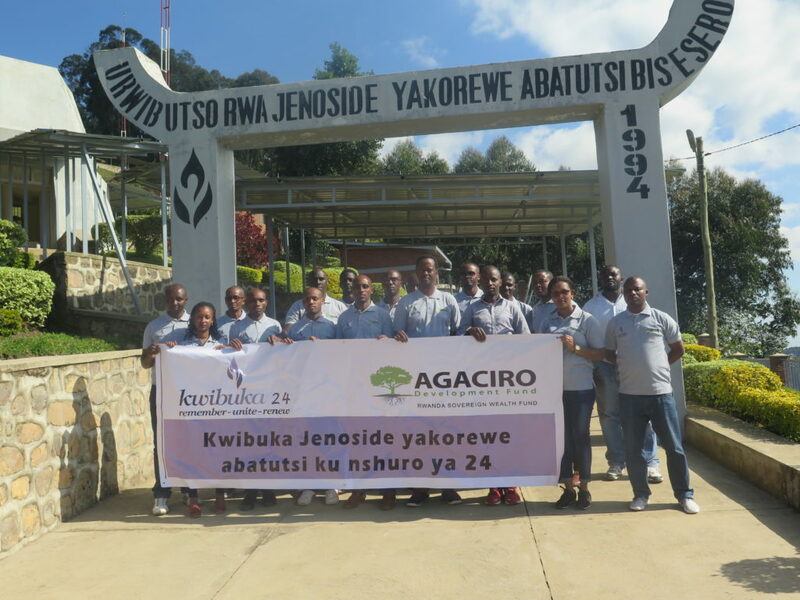 Supporting genocide survivors is homegrown solution to promote self-reliance values among Rwandans, Jacque Kayonga, the CEO of Agaciro Development Fund has said. He was speaking after the staff of the fund visited Bisesero genocide memorial site in Karongi District, Western Province and provided a cow and domestic materials to one of the survivors of 1994 genocide against the Tutsi. The memorial site has particular history whereby Tutsis who were being hunted joined their efforts on the hills by using traditional weapons and stones to resist to attacks by Interahamwe Militia. 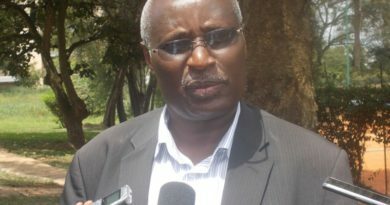 The militiamen had gathered interventions from militiamen in the other districts of Former Kibuye Prefecture with intention to exterminate Tutsi in the area. The memorial site, which has over 50,000 genocide victims buried there, has different parts with specific meaning that the visiting staff were explained about. They include stones as weapons that Tutsi used to repel the militia; a triumph bow at the the memorial gate that stands for emerging from darkness to light as regained hope, nine spears symbolising the courage of Tutsi from all nine former communes in joined who joined efforts to fight back Interahamwe Militia. They also include the path crossing through the memorial site, which shows the tragic journey of genocide among others. Kayonga said that survivors of genocide against the Tutsi in Bisesero should be supported to build their capacity towards self-reliance, and that the history [of genocide] should be well preserved, so that young generation learn lessons for never again genocide. “In our mandate as Agaciro Development Fund, we have to give dignity to genocide victims and survivors by supporting them as our responsibilities in a way that promotes self-reliance among them. It is part of healing their hearts that were morally and physically affected,” he said. 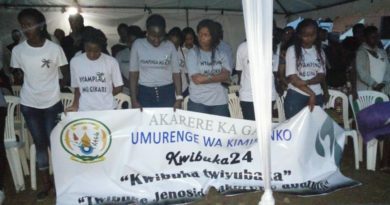 Survivors should continue to share the genocide history with young generation in order to embrace the values of preventing and combatting all factors that can lead to genocide. He said that they should rather embrace values of resisting to those who might seek to destroy the national achievements and values. “Genocide survivors have to know that they are not alone, that Rwandans who wish to rebuild the nation stand by them for support,” he added. 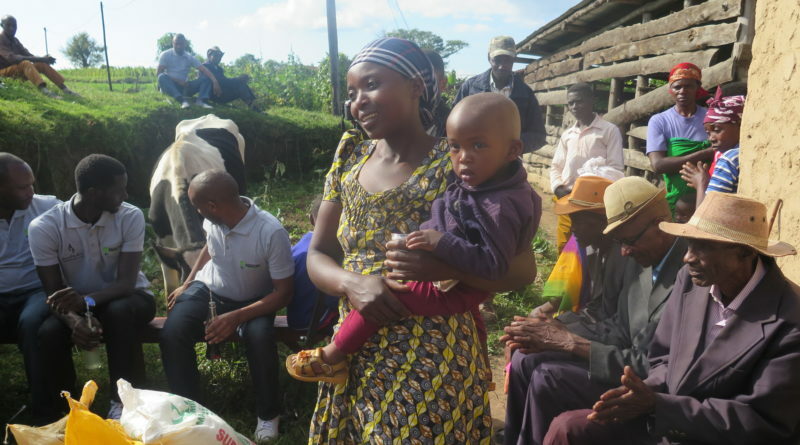 Odette Yankurije, the survivor who is currently widow after her husband was killed by unknown criminals last year, lauded the support she was provided. “I am the genocide survivor and my husband was killed last year by enemies. Since then, I am a widow with four children. 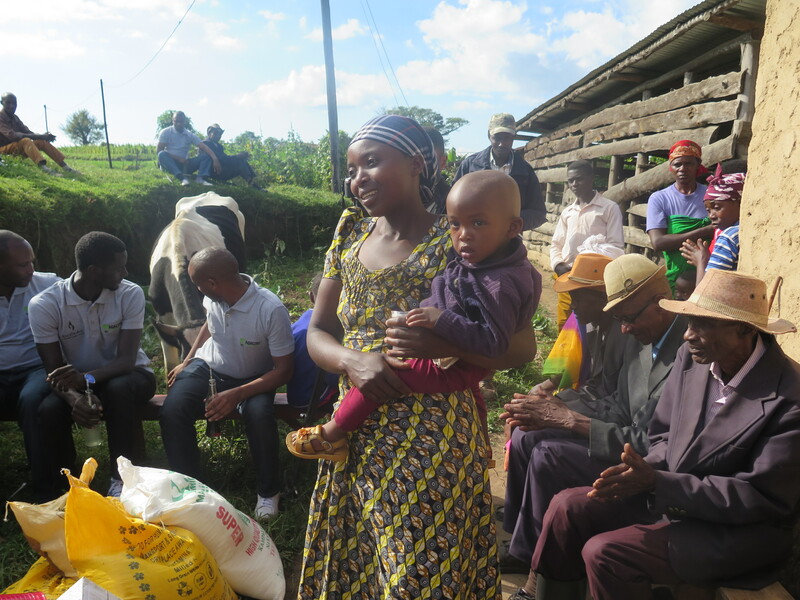 I welcome the support since I am given a cow at right time which will help improve nutrition for my children and get manure for crops,” she said. 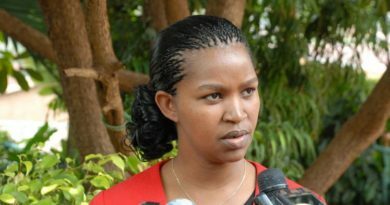 Odette yankurije , a survivor was given a cow./Courtesy.